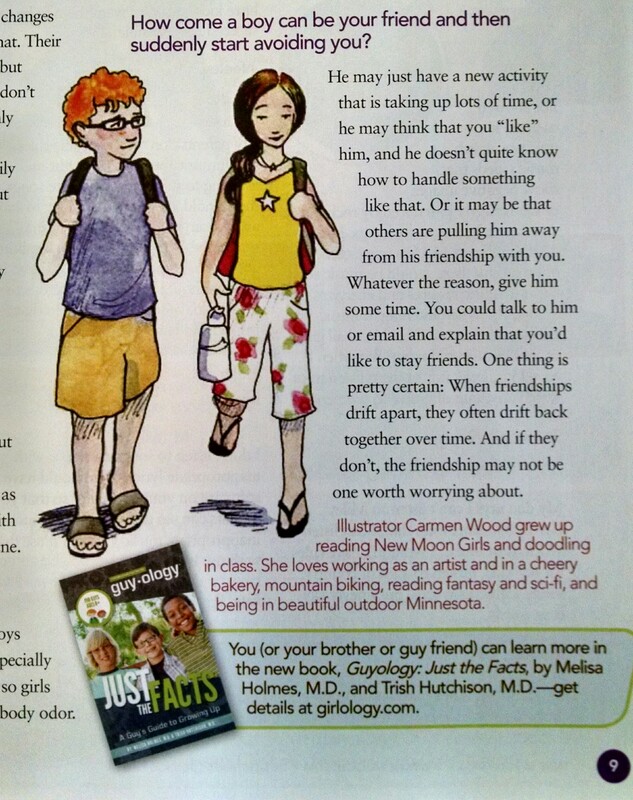 Check out some of my art in the September/October issue of the awesome magazine New Moon Girls, which can be found at bookstores and newsstands through November 1st. See page 8! I laughed when I heard what article I would be illustrating. P.S. 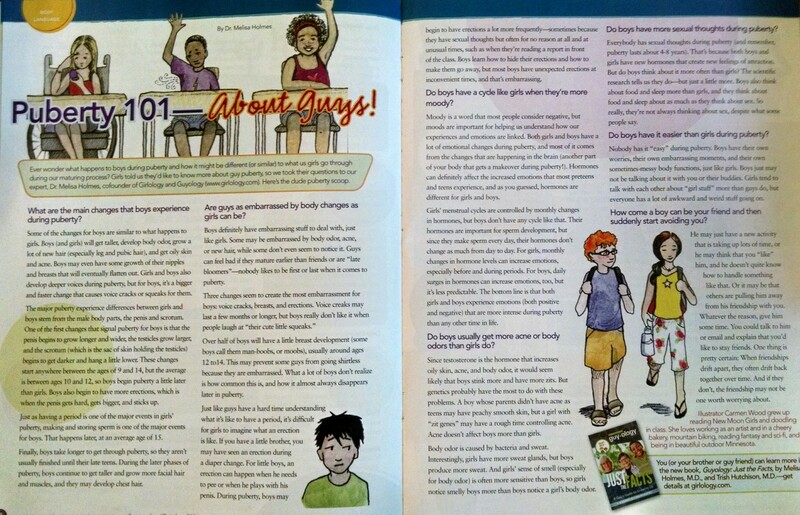 If you know a girl between ages 8 and 15, this magazine is a great resource, and a subscription would make a great gift! Me and my friends grew up reading New Moon. I modeled the girl’s outfit on one of my favorites when I was 11 or so: jean capris with roses on them and blue velvet ribbon on the cuffs. Num.